¿Quién dice que el estilo “vaquera” no puede ser chic? ¡¡Yo creo que con los accesorios adecuados puede serlo mucho…!! How says cowgirl style is not chic? With the right accessories you can definitely stand out… !! 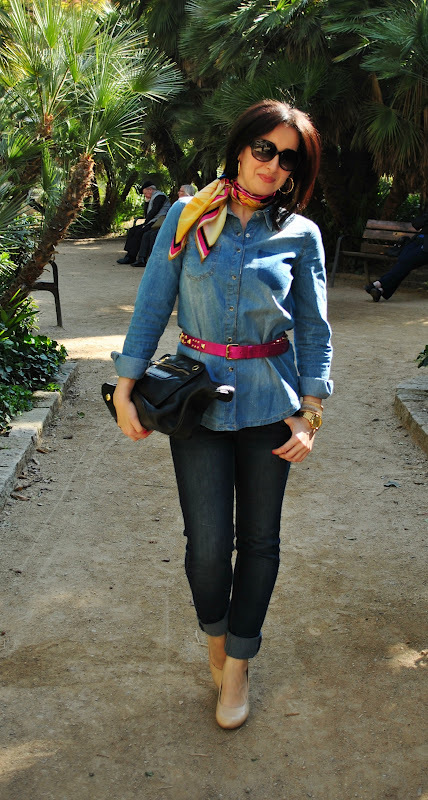 Love the denim shirt..and the accessories really make a difference! Great denim outfit! 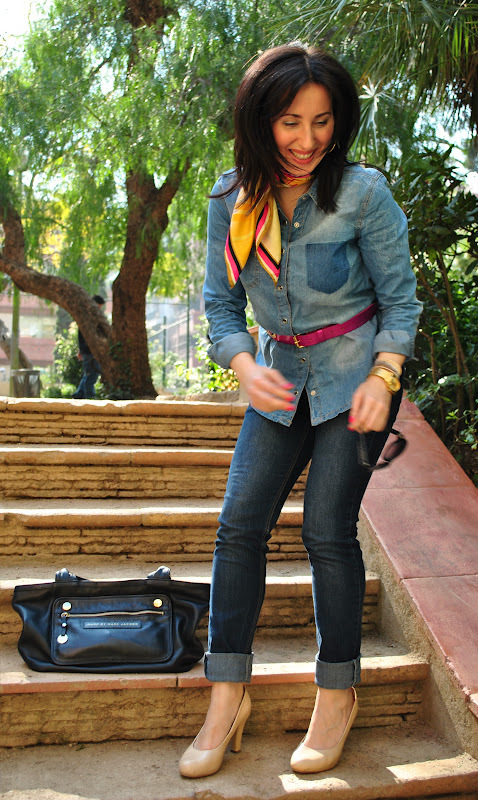 Love the pop of color you added to it through the scarf and belt. Nice! Oh your bag is beautiful!! LOVE this outfit *-* Great blog!! 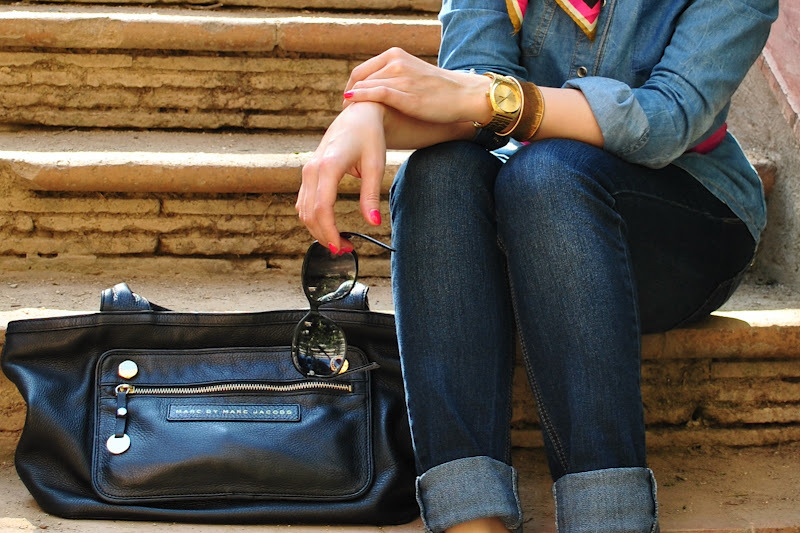 Qué mono este look denim! Great look! 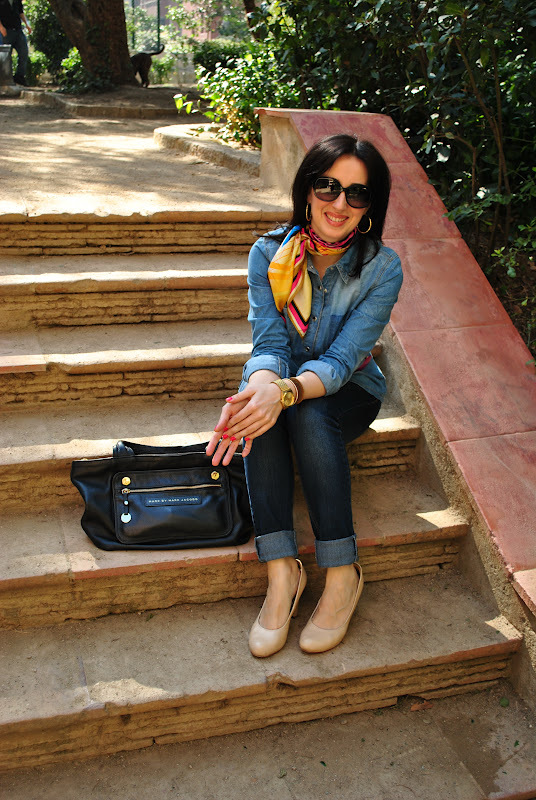 The scarf is the perfect pop of color! Amazingly...this is chic! I LOVE the scarf. 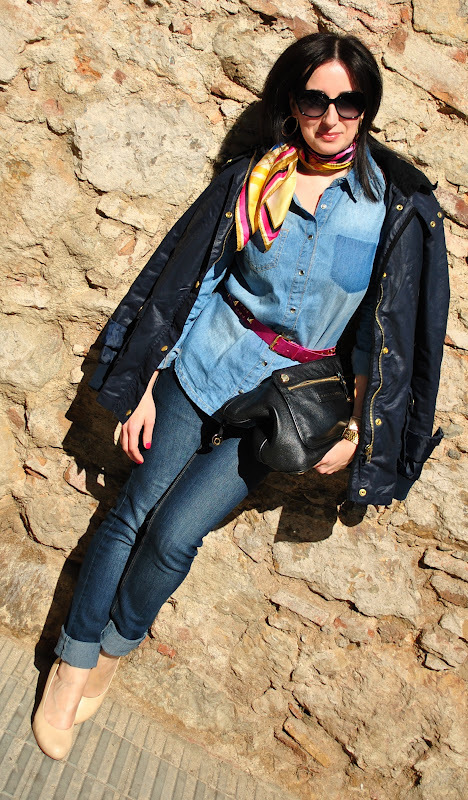 Me encanta este look denim con el cinto! !